Admission is free. The Gerald R. Ford School of Public Policy at the University of Michigan will host a special showing of Gerrymandering: The Movie . Writer/director Jeff Reichert will be present to talk about the film and answer questions. The movie addresses the issue of gerrymandering of political districts and the effects it has on the American political scene. A panel discussion including Professor of Public Policy John Chamberlin and other invited guests will take place after the screening. 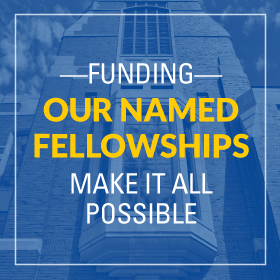 John R. Chamberlin is Director of the Center for Ethics in Public Life at the University of Michigan; Professor of Public Policy, U-M Gerald R. Ford School of Public Policy, and Professor of Political Science, U-M College of LSA. His research interests include ethics and public policy, nonprofit management, and methods of election and representation. He is also Director of the Ford School's BA in Public Policy program and U-M's Center for Ethics in Public Life. Prospective students interested in applying to the BA program (admit term Fall 2009) should plan to attend this information session. 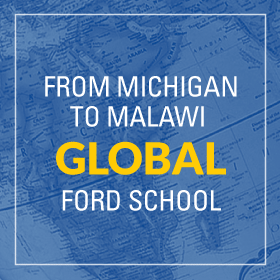 The BA Program Faculty Director, John Chamberlin, and the Ford School Admissions Staff will walk students through the application process, answer questions about the admissions timeline and speak to the degree requirements. Alumni living and working in Lansing met for lunch and to hear about the Ford School\'s new undergraduate program which is starting this fall. Professor John Chamberlin, director of the undergraduate program, was at lunch and provided an overview of the incoming class (of approximately 50 students), courses, and objectives for the program.